December is here! Before we know it, Christmas will be upon us, and everyone will be bustling about in search of that special gift for their loved one. To help prepare for the busy holiday season, the Ganaraska Region Conservation Authority (GRCA) has some unique gift giving ideas to share. Does your special someone like to hike, ride horseback, mountain bike, cross-country ski or ATV? Why not give them with an annual membership or day pass to the multi-use 11,000 acre Ganaraska Forest? 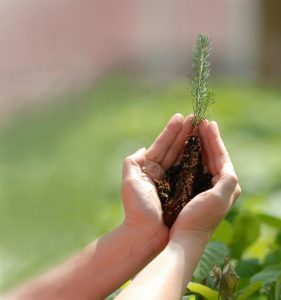 For a small donation, you can present your loved one with a tree that will be planted in the Ganaraska Forest. You will be provided with a framed tree certificate acknowledging the individual in honour or memory. This one-of-a-kind gift expresses your consideration towards the environment, provides wildlife habitat, and increases forest connectivity. Does someone in your family have a special connection to the environment or outdoor education? You could present them with an 8×8 paver stone engraved with their name or a special message. This personalized tribute will be a gift that lasts for years to come, lining the entrance way to the Ganaraska Forest Outdoor Education Centre located in the heart of the Ganaraska Forest. Also, in support of the outdoor education program is the Ganaraska Forest Centre Conservation Dinner. The 30th annual event being held on April 13th, 2019 includes a dinner, live and silent auction, raffles and door prizes – a fun night out for you and your special someone! Looking for a unique stocking stuffer? A rain gauge is a great idea! The recipient will then have the opportunity to track our local precipitation patterns. Do you have a child in your life that loves the great outdoors? Consider giving them the gift of nature with a week at the GRCA’s March Break Madness Camp or Nature Nuts Summer Camp. A guaranteed favourite! The GRCA hosts a variety of public events throughout the year. If your family member has never tried cross-country skiing or snowshoeing, a ticket to Family Cross-Country Ski & Snowshoe Day would be a great introduction. Check out this event, plus many more, in the events calendar at www.grca.on.ca. Also, just in time for Christmas, the GRCA Tree and Shrub Planting Program is in the works. Consider giving your loved one a gift certificate for the purchase of seedlings. Please call the GRCA at 905.885.8173 for information on the Ganaraska Forest Centre, to take advantage of these one-of-a-kind gift ideas (before December 14th), or to learn more about supporting your local Conservation Authority.